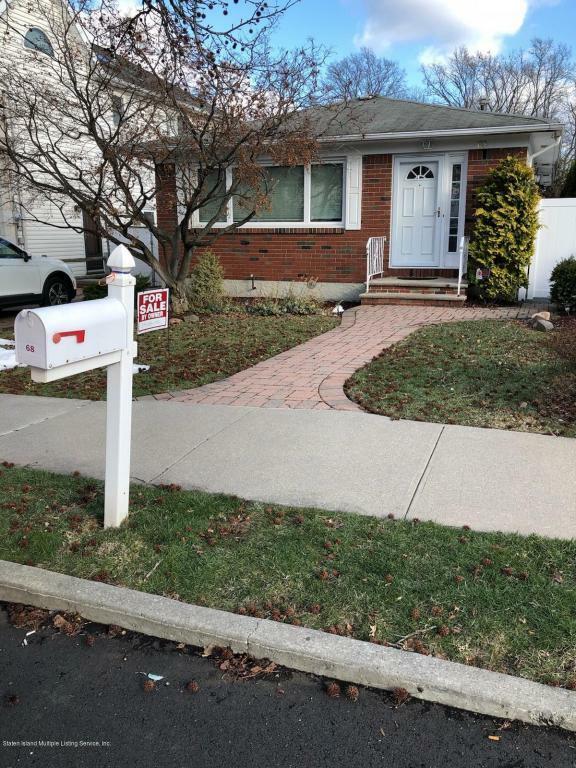 Beautiful meticulously well kept 1 Family detached home in highly desirable Annadale neighborhood. This home is convenient to multiple transportation options, Annadale Train Station, Express buses and Parkway. Move in ready. This house has 3 bedrooms 2 full bathrooms (1 kitchen and 3 bedrooms on the main floor and 1 kitchen in fully renovated basement along with a Bedroom/playroom with basement entrance. Garden and patio in the rear yard, driveway at side yard. This home can also be altered to include a second story.